We carry out expert cleaning of rugs in the Cheshire area. Many rugs are placed in areas such as hallways, the center of a room or perhaps in front of a fireplace and therefore can often be subject to heavy traffic. The result can be that colours are hidden behind the gradual build up of soil that attach to the fibres causing what was once a lovely looking rug, to become disappointing and dull. Additionally dust and soil can become settled and compacted deep into the pile which causes frictional wear and loss of softness. 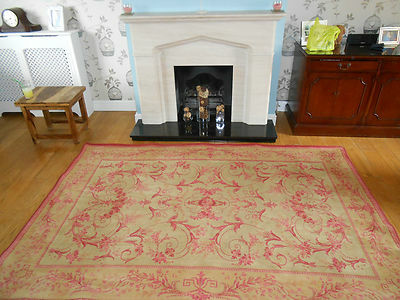 We find that many rugs in the homes we attend can be worth from one or two hundred pounds to many thousands of pounds. Cleaning not only makes economic sense to preserve your investment, but will restore the vibrancy of colours and also the lovely soft feel and lustre. Your rug cleaning can usually be carried out at your home. The rug fibres are first tested for colour fastness. It is then cleaned with a specialist quality wool safe product and the process is repeated until we are satisfied with the results. Any remaining stains are then treated and removed where possible. This process is labour intensive, however the results in most cases are exceptional, leaving your rug looking brighter with the colours gleaming again. Cotton fringes can be specially cleaned, whitened and brought back to their natural appearance. Vegetable dyes are used on many types of oriental rugs which can be unstable and subject to fading during the course of time. All oriental rugs are treated with a unique treatment which stabilises both the colour and dyes and leaves a lovely sheen. The specialist treatment also permanently brightens colours, destroys bacteria and fungal spores, preventing musty odours therefore extending the life of your rug. Our experience includes having provided a Rug Cleaning service for many well known independent Dry Cleaning companies in Cheshire. You can be confident of our experience in this field. Rug fringes undoubtedly will become grubby and grey in high traffic areas. These are cleaned without bleaching and can usually be whitened or restored to their natural colour. Most types of stains can be removed. However, some types of stains can be permanent such as tannin based marks including coffee and tea. Pet urine stains, also a common problem will normally be permanent as this will also have changed the colour and dyed the fibres irreversibly. Some of the types of rugs we clean. Including hand knotted, modern, contemporary, Bokhara, Chinese, Kashan, Kilim, Persian, Afghan, Turkish, Indian, Malmaison and many more. 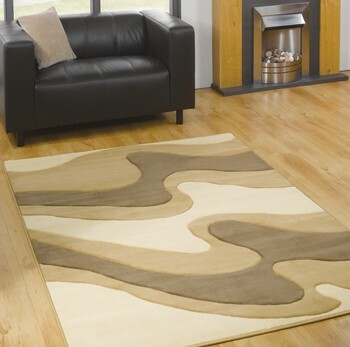 Most types of modern rugs including 100% wool and synthetic types such as polypropylene. Laura Ashley cotton Malmaison and wool rugs are very popular. Marks And Spencer have also supplied a very similar type of design. 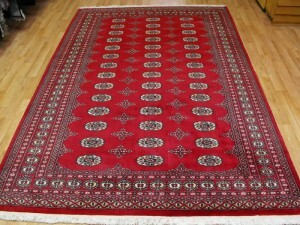 Persian Qashqai are also another very popular type of rug we clean.